The temate® SI-WB is the industry standard for automated inspection of laser welds in Tailor Welded Blanks. 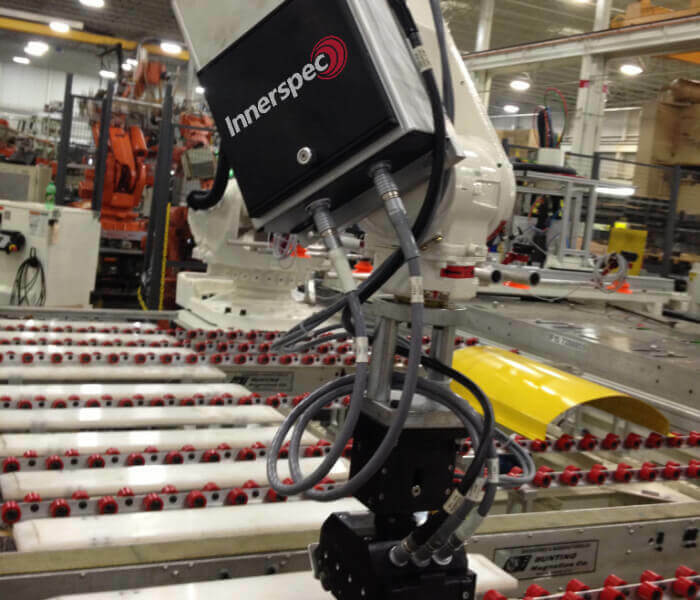 The temate SI-WB can be integrated on any line using the line conveyor, de-stacking robots or automated and manual scanners from Innerspec or other vendors. Guided waves fill up the volume of the material and provide thru thickness inspection in one pass. Detects and discriminates “planar” defects such as lack of fusion, lack of penetration, concavity or mismatch, and “point” defects such as holes and porosity. Insensitive to cosmetic defects that do not affect the structural quality of the weld. No false positives, typical of vision systems. Less sensitive to probe positioning, no “rastering” motion or “phased array” of sensors necessary. Self-calibrated sensor. No need for teaching period or regular calibrations. Permits inspection at up to 1m/s in completely automated environments. Exclusive flexible sensor technology that conforms to the surface and undulations of the part. Multi-sensor capabilities with one system controlling up to three sensor heads. Most proven and reliable system in the market with hundreds of systems installed. Volumetric guided waves for inspection of the weld (i.e. top and bottom surface, and internal). Sensor: 6” (152mm) W x 7.1” (180mm) L x 5.9” (150mm) H. Weight 10 lbs (4.5 Kg). High speed inspection of linear welds using Innerspec’s NDT solutions. Manual start or factory PLC controlled. Adjustable for different part sizes, and multiple welds. 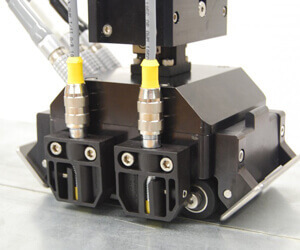 Compatible with all Innerspec weld inspection sensors for scans up to 1 m/sec. Visual & digital results for each weld. Parts loaded manually or with robot.